In recent months, the Yemeni militia launched multiple ballistic missiles against targets in southern Saudi Arabia amid the ongoing Saudi-led coalition's bombing campaign against the militants. Houthi militiamen in Damet, western Yemen attacked a government forces' T-34-85 tank with an anti-tank guided missile, journalist Mohamed Mansour has reported, posting video footage of the reported attack on Twitter. — Mohamed Mansour 🇪🇬 (@Mansourtalk) 9 февраля 2019 г. The video shows the tank being struck. How much damage the tank sustained remains unclear, with the tank's frame remaining seemingly undamaged, although a small plume of white smoke can be seen coming out from the top of the turret. The clip is the second reported attack on a government forces' T-34-85 in Yemen in recent weeks, with another attack on a T-34-85 reported in the Dhale area late last month. The T-34-85 was introduced in 1944 as an improvement of the legendary Soviet T-34 medium tank during the Second World War. 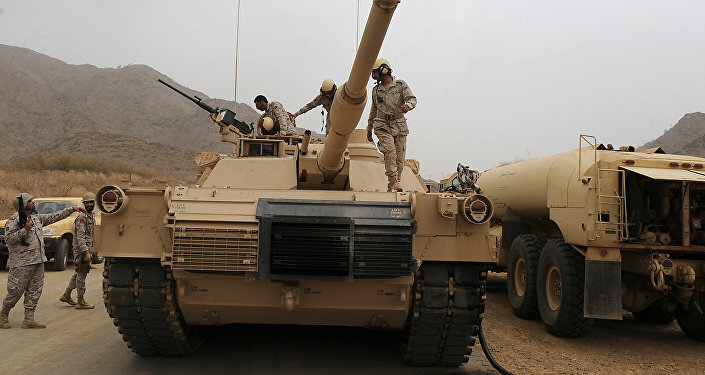 The tank was widely exported to countries around the world during the Cold War, with Yemen reported to have a stock of 250 T-34-85s, 30 of them operational, according to a 2010 estimate by the International Institute for Strategic Studies. Yemen descended into civil war in late 2014, when the Shiite Houthi militia attempting to overthrow the government of President Abdrabbuh Mansur Hadi, who fled to Saudi Arabia. Riyadh and a coalition of mostly Gulf State allies began operations to restore the Hadi government to power in March 2015. Saudi Arabia has accused Iran of supporting the militia with weapons. Iran has denied the claims. The Saudi coalition's blockade of Houthi-controlled ports has been condemned by the United Nations for causing a humanitarian disaster in the war-torn country.